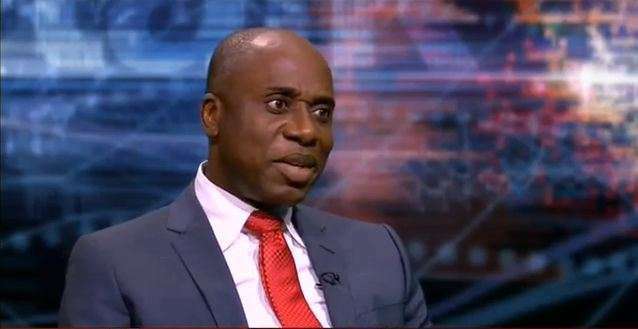 The All Progressives Congress (APC) has said that the Minister of Transportation, Rotimi Amaechi, asking its members to support African Action Congress (AAC) in the Rivers governorship election, cannot be described as anti-party. APC’s National Publicity Secretary, Mallam Lanre Isa-Onilu, stated this while addressing journalists on Wednesday at their national secretariat in Abuja. When asked to state the party’s position regarding Amaechi’s actions, Isa-Onilu replied: “I will emphatically say no because if you liken it to the situation in Imo and or Ogun states, it will be wrong. “In Rivers state, APC does not have any candidate and as a party, Rivers state is very important to us. The state has been in the hands of pillagers for too long.